The celebration of war on the Fourth of July obscures the contributions that a decade of nonviolent resistance made to the founding of our country. This article was originally published on Political Violence @ a Glance. Tomorrow, cities and towns from coast-to-coast will host fireworks, concerts and parades to celebrate our independence from Britain. Those celebrations will invariably highlight the soldiers who pushed the British from our shores. But the lesson we learn of a democracy forged in the crucible of revolutionary war tends to ignore how a decade of nonviolent resistance before the shot-heard-round-the-world shaped the founding of the United States, strengthened our sense of political identity, and laid the foundation of our democracy. We’re taught that we won our independence from Britain through bloody battles. We recite poetry about the midnight ride of Paul Revere that warned of a British attack. And we’re shown depictions of Minutemen in battle with Redcoats in Lexington and Concord. I grew up in Boston where our veneration for revolutionary battles against the British extends far beyond the Fourth of July. We celebrate Patriots’ Day to commemorate the anniversary of the first battles of the Revolution and Evacuation Day to commemorate the day British troops finally fled Boston. And at the start of every Red Sox game we stand, take off our hats and sing — 33,000 strong — about the perilous fight, the rockets’ red glare, and the bombs bursting in air that gave proof through the night that our flag was still there. American revolutionaries led not one, but three nonviolent resistance campaigns in the decade before the Revolutionary War. These campaigns were coordinated. They were primarily nonviolent. They helped politicize American society. And they allowed colonists to replace colonial political institutions with parallel institutions of self-government that help form the foundation of the democracy that we rely on today. The first nonviolent resistance campaign was in 1765 against the Stamp Act. Tens of thousands of our forbearers refused to pay the British king a tax simply to print legal documents and newspapers, by collectively deciding to halt consumption of British goods. The ports of Boston, New York and Philadelphia signed pacts against importing British products; women made homespun yarn to replace British cloth; and eligible bachelorettes in Rhode Island even refused to accept the addresses of any man who supported the Stamp Act. Colonists organized the Stamp Act Congress. It passed statements of colonial rights and limits on British authority, and sent copies to every colony as well as one copy to Britain thereby demonstrating a united front. 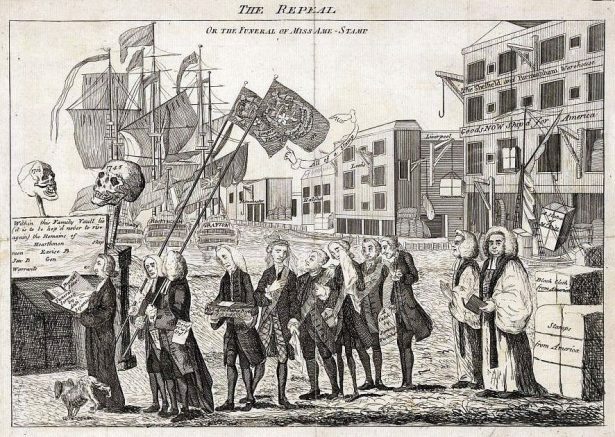 This mass political mobilization and economic boycott meant the Stamp Act would cost the British more money than it was worth to enforce, leaving it dead on arrival. This victory also demonstrated the power of nonviolent non-cooperation: people-powered defiance of unjust social, political or economic authority. The second nonviolent resistance campaign started in 1767 against the Townshend Acts. These acts taxed paper, glass, tea and other commodities imported from Britain. When the Townsend Acts went into effect, merchants in Boston, New York and Philadelphia again stopped importing British goods. They declared that anyone continuing to trade with the British should be labeled “enemies of their country.” A sense of a new political identity detached from Britain grew across the colonies. By 1770, colonists developed the Committees of Correspondence, a new political institution detached from British authority. The committees allowed colonists to share information and coordinate their opposition. 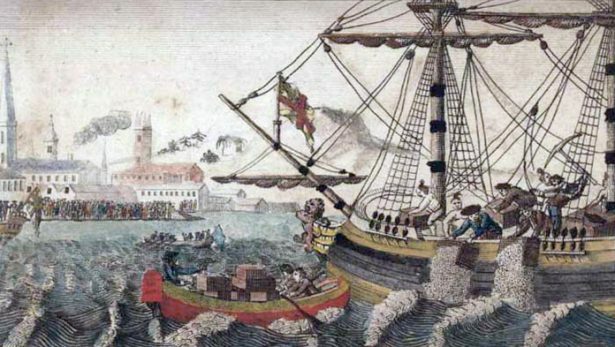 The British Parliament reacted by doubling down and taxing tea, which led enraged members of the Sons of Liberty to carry out the infamous Boston Tea Party. The British Parliament countered with the Coercive Acts, which effectively cloistered Massachusetts. The port of Boston was closed until the British East India Company was repaid for their Tea Party loses. Freedom of assembly was officially limited. And court trials were moved from Massachusetts. King George III felt that this level of political organization had gone too far, noting that; “The New England governments are in a state of rebellion; blows must decide whether they are to be subject to this country or independent.” In response, colonists organized the Second Continental Congress, appointed George Washington commander in chief and so began eight years of violent conflict. The Revolutionary War may have physically kicked the British off our shores, but tomorrow’s focus on war obscures the contributions that nonviolent resistance made to the founding of our country. During the decade leading up to the war, colonists articulated and debated political decisions in public assemblies. In so doing, they politicized society and strengthened their sense of a new political identity free from the British. They legislated policy, enforced rights, and even collected taxes. In so doing, they practiced self-governance outside of wartime. And they experienced the power of nonviolent political action across the broad stretches of land that were to become the United States of America. So on future Independence Days, let us celebrate our forefathers’ and mothers’ nonviolent resistance to British colonial rule. And every day as we deliberate the myriad challenges facing our democracy, let us draw on our nonviolent history just as John Adams, Benjamin Franklin, John Hancock, Patrick Henry, Thomas Jefferson, and George Washington did over two centuries ago. QUOTE: July 4 focus on war obscures the contributions that nonviolent resistance made to the founding of the US. I would say Sam is technically correct, but Benjamin is practically correct. Most of my friends and family would say Independence and the Revolutionary War are for all intents and purposes the same. The message I would like to convey from this story is that what makes people free is their intention to be free and their willingness to struggle for that freedom. Whether they choose violence or nonviolence is secondary, except to note that the price of freedom won nonviolently is almost always far less in human, monetary, and moral costs. A minor correction to note that the “Star Spangled Banner,” sung as the national anthem, refers to a battle in the War of 1812, not to the Revolutionary War. Interesting piece, perhaps accurate in many ways for the pre-war period. 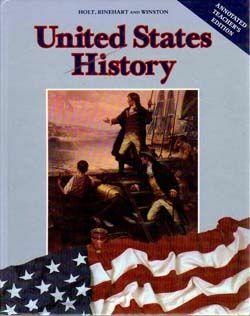 A recent book titled Scars of Independence, America’s Violent Birth, by Holger Hoock, which I have only read reviews of, does seem to show that once the war started, it became a virtual civil war with many atrocities, reprisals, and cruel incidents on both sides. The view is probably accurate, that about a third of the population were loyal to the crown, a third supported independence, and a third were on the fence/trying to stay neutral. If a peaceful separation had been successful, perhaps fewer would have suffered and died; as it is, Hook says there were proportionally more deaths during the Revolution than the US lost in WWII. Yes, the Revolution was a civil war throughout the “country”, loyalists and patriots tarring and feathering and killing each other, and both sides terrorizing their neighbors who did not want to side one way or another. How would participatory budgeting cut spending?